One of MCC’s most important roles, which it has carried out since the Club’s formation in 1787, is its custodianship of the Laws of Cricket. Although the International Cricket Council is the global Governing Body for cricket, it still relies on MCC to write and interpret the Laws of Cricket, which are applicable from the village green to the Test arena. MCC's Laws sub-committee are responsible for the debating, decision making and drafting of the Laws, which are - in turn - passed by MCC's Main Committee, retaining a robust and measured decision-making process. Certain levels of cricket are subject to playing regulations, which may create subtle differences to the Laws themselves. This is most high profile at international level, where the ICC applies playing conditions which can cause some confusion at lower levels of the game. 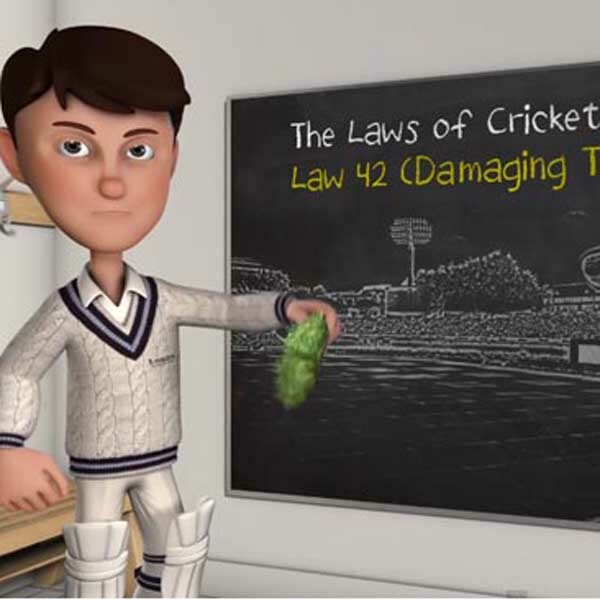 MCC’s eLearning programme on the Laws of Cricket uses photos, videos and animations to help explain what can be a complicated subject. It concentrates on the teaching of Laws knowledge and can be accessed in two ways, both of which are free of charge. For a more engaging experience, you can click on the “learn more” link below. This will enable your progress through the training modules to be tracked, so you can pick up where you left off. It also enables you to take a ‘basic’ or ‘intermediate’ level exam and provides a certificate with your score, which you can share with friends or pass to your local officials’ association as proof of your competence. MCC has launched a new eLearning module designed to educate about concussion in cricket. It is intended for everyone involved in the game, but specifically aimed at the grass roots level of the sport. This includes players, coaches, umpires and other officials. It covers what signs and symptoms to look out for if a player is concussed, what course of action to take and how to manage the game from a Laws and regulations point of view, whilst also aiming to retain the Spirit of Cricket. It also stresses that not only batsmen are at risk of concussion, but wicketkeepers, bowlers and fielders too. The Laws of cricket are available in a number of languages, alongside English. These are available to view and download below. These laws are produced in conjunction with the ICC (International Cricket Council) and the subjective nations of the translation - therefore their accuracy cannot be guaranteed. - The complete Laws of the game of cricket. - Detailed guides and examples. - Videos of all umpire signals. - The Laws of Cricket quiz, with three levels of difficulty. 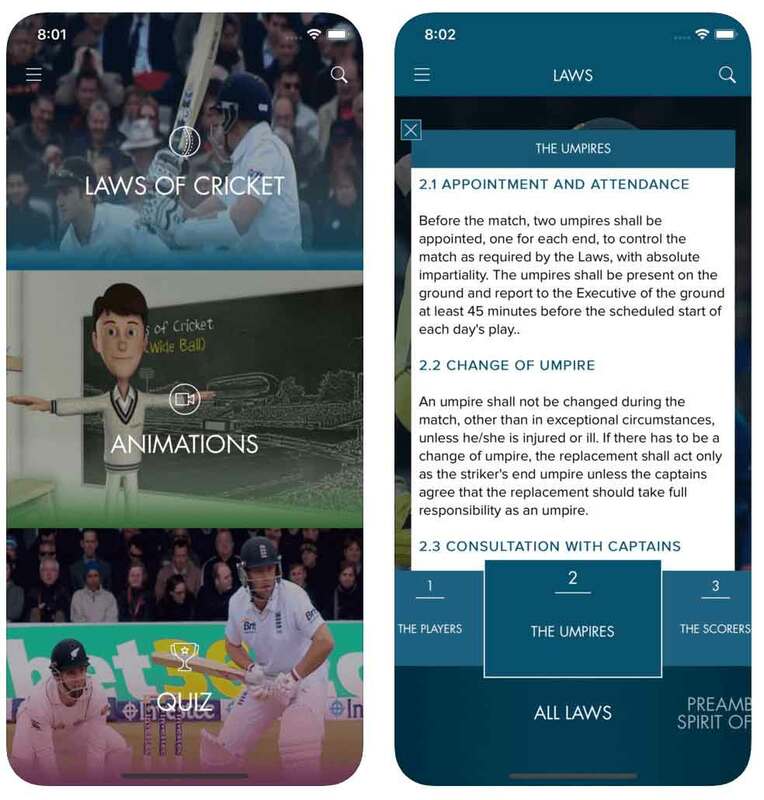 All 42 Laws are presented in an easy to understand manner with 15 of them given greater focus by means of animations, presented by cricket enthusiast Stephen Fry. Videos of the umpiring signals complete the picture to help you understand what’s happening on the field of play. MCC has produced a series of animations narrated in English, Hindi and Urdu aimed at helping young players, novices and casual fans develop a greater understanding of the Laws of Cricket. Actor, broadcaster, writer and cricket lover Stephen Fry provides the voiceover for the English narration, with actor Bhasker Patel and former Pakistan batsman Rameez Raja providing the narrationto the Hindi and Urdu versions respectively. The animations focus a number of the more complex and misunderstood aspects of the Laws – including LBW and running out the non-striker. Do you have a question about the Laws?